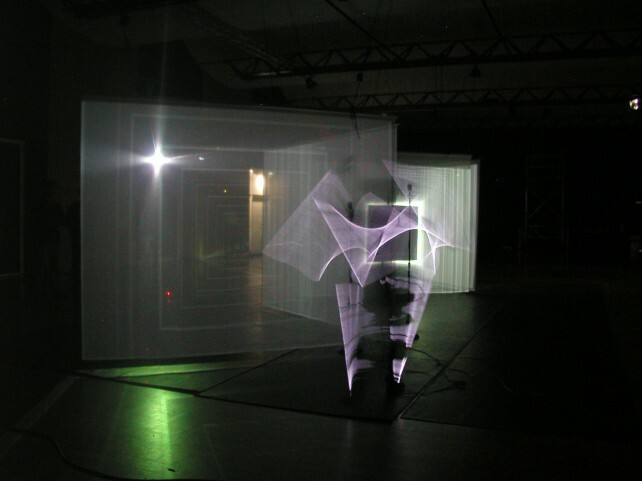 The performance ‘Man in e.Space’ is based on the complete reduction of space and body: on one hand, four centered transparent projection screens, disposed in folded windscreen setting, are encapsulating a minimal construct of space, on the other hand the visibility of the two dancers are reduced to glowing lines, emitted by their light costumes, outlining their body articulations by the means of long light sticks. Furthermore the traditional scenic frontal setting is abandoned in profit of a fluid space of intervention, where both dancers and public co-operate in the definition of the performative environment. 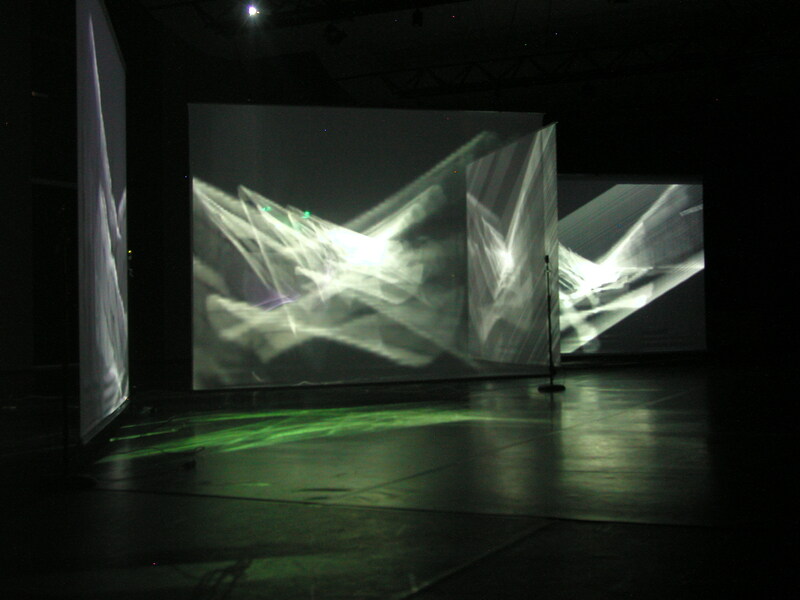 Inside this common space four cameras are filming the dancers’ movements, the moving lines. These captured images, 24 frames per second, are placed inside a 3d electronic space, processed and projected on the four screens in real-time. 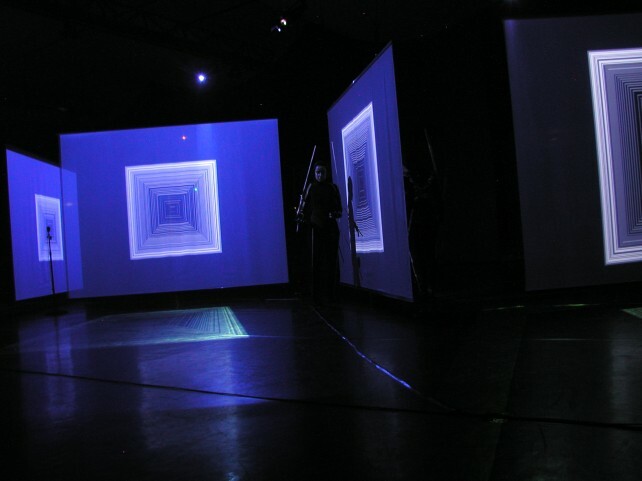 Each camera is related to one projection screen and to one computer rendering one of the four views of the common digital space. In this manner each of these viewpoints constitutes a position inside the digital space, differing by a distance of 24 meters. Here, navigating through the digital space with a speed of 24 meters per second means to cross one screen after the other within a time-lapse of 4 seconds. 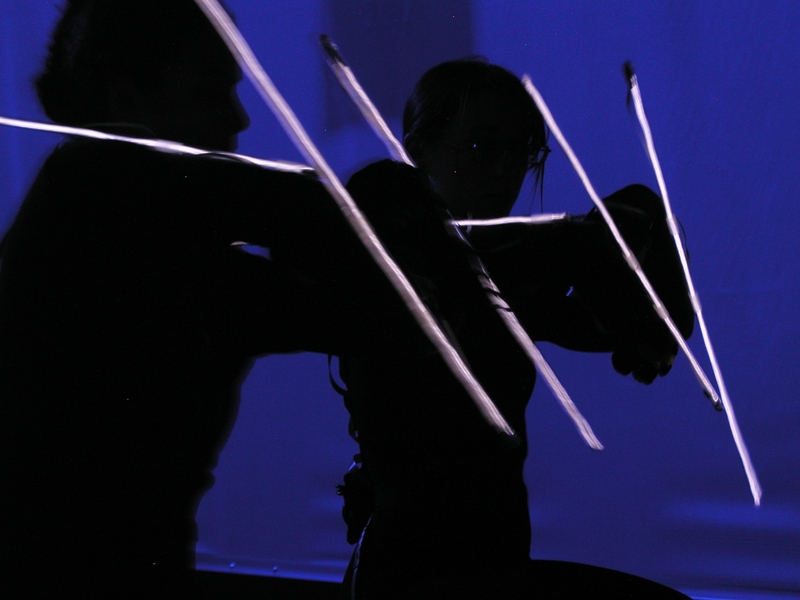 This specific time-based scenography and its cinematic construct of fps ( = frames per second ) is reinforced by real time processed sound based on the parameter of ‘bpm’ ( = beats per minute ). 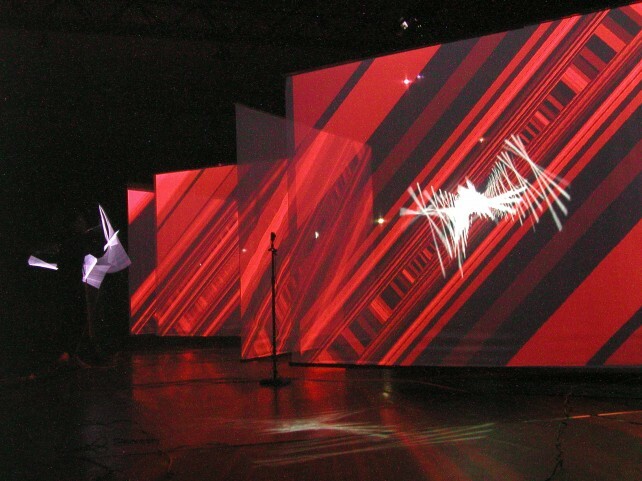 In this manner the entire sonic structure is related to the dancers’ movements and the frequency of captured / recorded images. 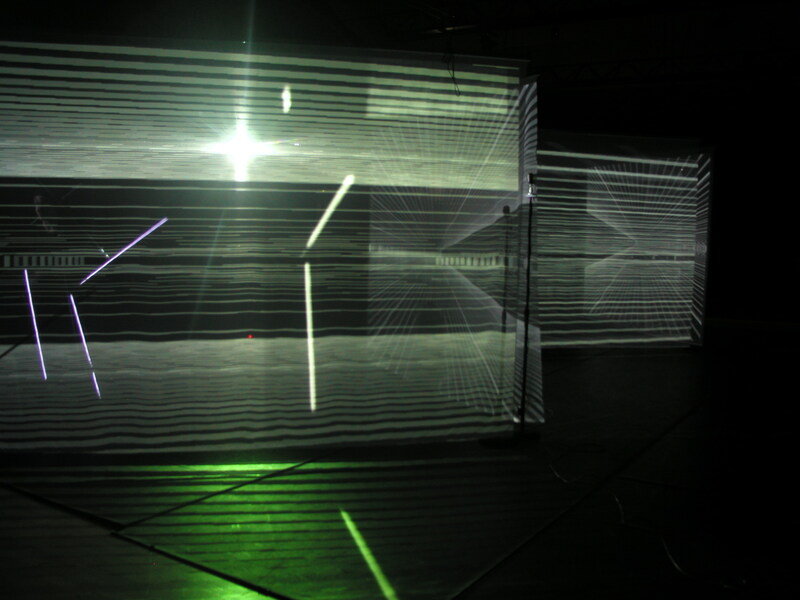 In this construct the dancers create an audiovisual space out of their movements, a space where the logic of the physical and the electronic space overlaps and where time is space and space is time.